The General Aptitude section is the most important section in the GATE exam as it is most scoring and easy to solve paper, if you prepare well. 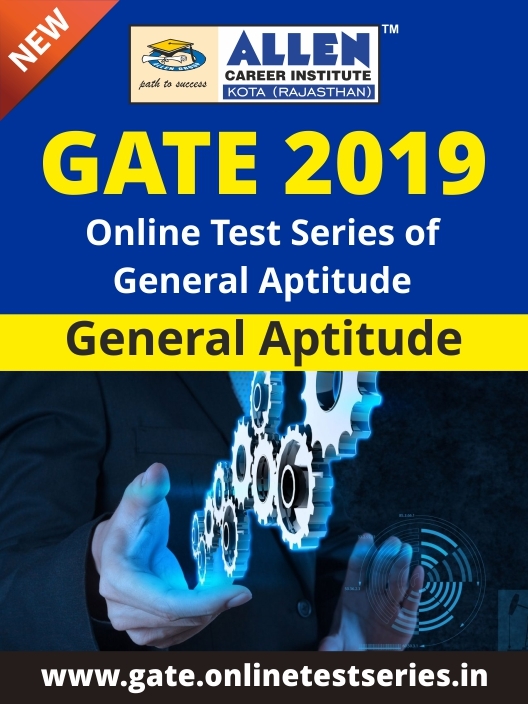 Our Gate 2019 General Aptitude Online Test Series provides a platform for students to boost their aptitude preparation by delivering a real test experience to the aspirants. The standard of the questions and pattern is based on the actual examination in all the aspects, helping students to rectify their weakness and excel in the actual exam. This package has expired ! Dynamically Researched Question Bank prepared by best talent pool of the Nation at par with GATE standard to enhance your competitive spirit. It gives you real time temperament for GATE exam, which helps you to increase your speed, accuracy and performance alongside. Detailed analysis and feedback report after each test helps you to analyze each question and to identify and improve weaker areas with interactive dashboard. Extremely prompt and helpful student Support System helps you with all kinds of queries, issues and guidance.